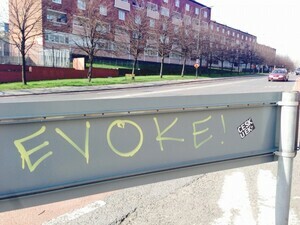 It seems ‘evoke!’ is tagged on every second flat surface across the city centre. Any idea as to its significance? 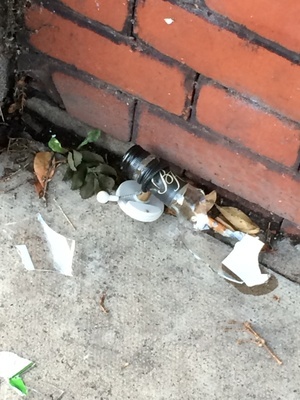 Posted in Misc and tagged tag, ubiquitous at 4:53 pm on April 5, 2015 by Admin. Someone thinks their the new Banksy. Well he’s fallen at the first hurdle then with the lack of stencils. It’s a tag and I’m pretty sure it doesn’t mean anything. 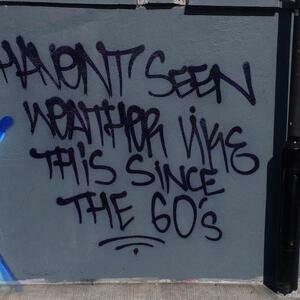 Banksy references are idiotic as graffiti and street art are both very different. Street artists want to paint pretty things on walls and sell art while graffiti writers just want to write on everything and get their name up for ‘street cred’. This guy is all over the city in some crazy places reminds me of the days of Grift. Formed from the two favoritest things in the world for the little toe-rag responsible for this prolific vandalism – Evo-stik and Ketamin. A dyslexic Sarah Murphy out bouncin’ around town last? A plonker with too much time on his hands? People who do Graffiti invents names for themselves and then write those names on things. That tag is EVERYWHERE. Not particularly creative. There is a more street art version on a wall by the Grand Canal between Ranelagh and Leeson Street. But that’s the extent of the art as far as I have seen. Snappy street marketing by the socially aware feminist magazine know as evoke.ie perhaps? I’ll try again. 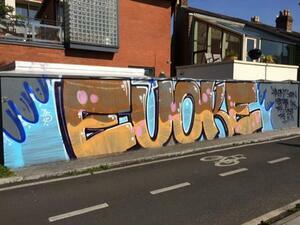 Cant help noticing the little sticker to the right with uek .. That’s underground elements krew, a geansai load of spray paint laced finger, kids from across Dublin who tag anything and everything but as nobody knows who they are, the tags remain insignificant for the most part. Underground elements krew. Man they are so slammin’. Wish I could run with them, but my mam is such a narc. Tagging of this incredibly low level of talent is pathetic. At least if the tagger was doing something of artistic merit, you could understand. But all this evoke fool is doing is repeatedly declaring to the world how limited his or her brainpower is. Would you not be embarrassed? 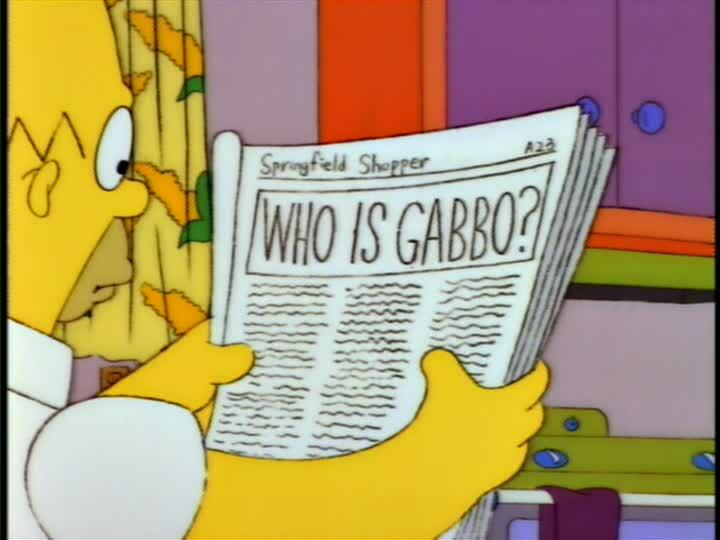 It’s the equivalent of a dim teenage boy drawing cartoon penises all over his schoolbooks. It’s a pity that’s what they think makes them significant. These guys started and got convicted for it. hard to believe they did every one of them but it is said they did…. Two years suspended sentence for each of them and €1,600 (which they brought to court) was ordered by the Judge to be paid to the Fr McVerry Trust. The two caused €32,000 of criminal damage. With such pathetic sentencing, no wonder these toe-rags think they can vandalise with impunity. Bet whoever is doing it is absolutely chuffed he got mentioned here. Don’t give this artless vandalism air. It obviously means fupp all.